Youtube Star and Internet Personality Poppy visited the Ready Room Saturday night. Poppy started off making creepy Youtube videos that made everyone question her sanity, now she is on tour with her partner Titanic Sinclair. The show began by playing Africa by Toto for a solid 30 minutes or so, and then a 45-minute pre show of her mannequin friend “Charlotte” playing remixed versions of popular songs. Titanic Sinclair then came out and showed everybody a strange red colored drink called “Poppy Juice”, before throwing a banana into the crowd. 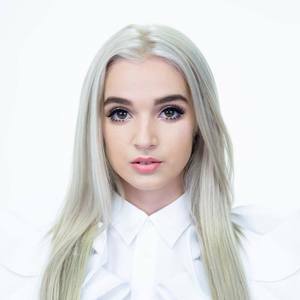 She played most of her songs off her debut-album “Poppy.Computer”. In between each song, an old video of hers played on the screen, and she typically had a few words to say to the crowd. The strange show lasted for a little under an hour, before she walked off stage and everybody begged for another song, so she came back on stage and sang one more song to please the crowd. “You don’t even know what do with me,” Poppy said on the new tune “Bleach Blonde Baby,” another “Poppy.Computer” track, but even after seeing the whole package in real life, still no one does. Poppy’s show gets an A, despite being quite strange.